Listen to Choir Christmas Music 24/7 Now Through Christmas! Now through Christmas Day, the Choir’s 24/7 music stream—powered by the Mormon Channel—will feature nonstop Christmas music from the Mormon Tabernacle Choir and Orchestra at Temple Square’s Christmas albums, Music and the Spoken Word Christmas specials, and past Christmas concerts. How would you love to dance in front of 21,000 people? If you or anyone you know is a dancer, this is the opportunity of a lifetime! Happy New Year! We are excited to get started with 2015 and look forward to all of the great things the Choir has lined up such as the Atlantic Coast Tour, Handel’s Messiah album release, Pioneer Day and Christmas concerts, and much more. We are constantly publishing Choir-related stories to our blog. The Mormon Tabernacle Choir’s blog is loaded with unique content including Choir videos, hymn histories, behind-the-scenes video, interviews, announcements, history and more. Make sure to check our blog often for the latest updates, stories and videos. Below is a list of the top 5 Choir-related stories of December 2014. Some know acclaimed Welsh actor, John Rhys-Davies, for his role as Sallah in the Indiana Jones films. Others know him as Gimli, from The Lord of the Rings trilogy. After watching the video above, many will know him as the narrator of the Christmas Story, from Luke 2. 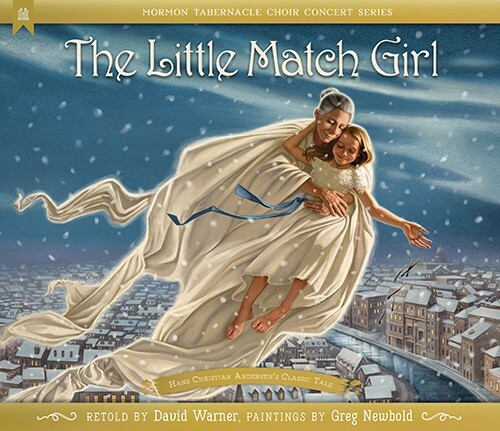 Davies was the guest artist for the 2013 Christmas concert with the Mormon Tabernacle Choir. “Fum, Fum, Fum” is a Catalonian Christmas carol that originated in the 16th or 17th century. The word “fum” has many meanings ranging from the sound of a rocking cradle, the sound of a drum, the strum of a guitar or playing on a fiddle. The literal definition of “fum” in Catalan means smoke, which could refer to smoke rising from a chimney. The previous record for the world’s largest live nativity scene, with 898 people, took place last year in the United Kingdom. That record was recently broken when 1,039 people dressed as wise men, shepherds, angels, Mary, Joseph and Baby Jesus, participated in a huge production to re-create the Savior's birth as part of a larger movement for sharing the gift of Christ. The event took place at Rock Canyon Park in Provo, Utah and was witnessed by Guinness World Record judge Michael Empric.